With all of the kids coming to the door in costume, I figured that Collen should get dressed up as well. 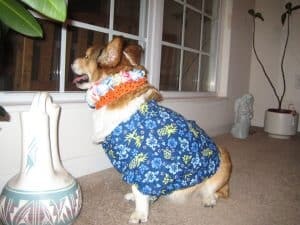 Here’s a picture of him wearing his Hawaiian shirt and lei. Click a photo to view it full size. Collen watches patiently for trick or treaters. 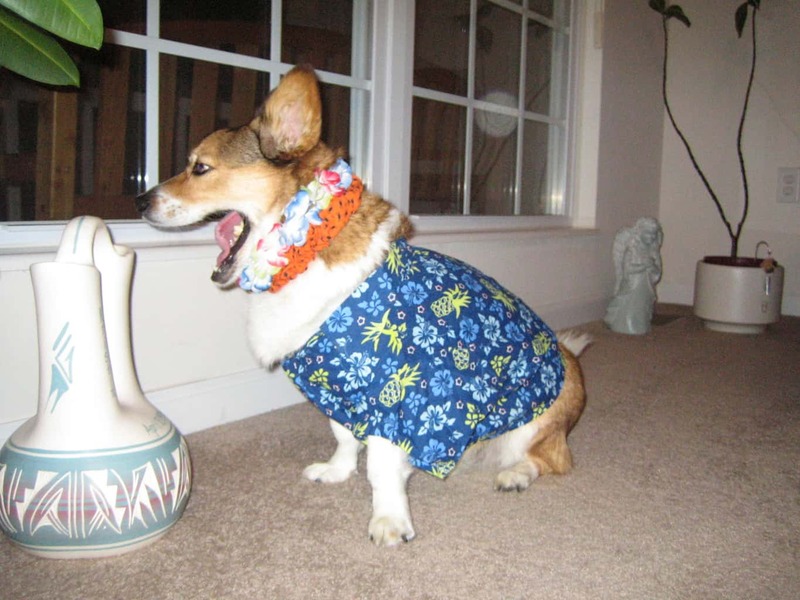 Collen yawns while waiting for trick or treaters in his tropical costume.